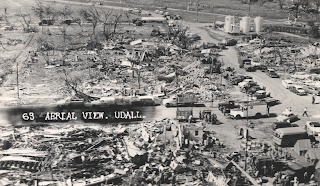 "The Town that Died in its Sleep" was the headline used to describe Udall after an F5 tornado struck in darkness without warning. Eighty-two people (out of 505) were killed and 260 were injured. Twenty died in Blackwell, OK earlier in the evening from a tornado spawned by the same supercell thunderstorm that caused the Udall storm. There was no warning of any kind. 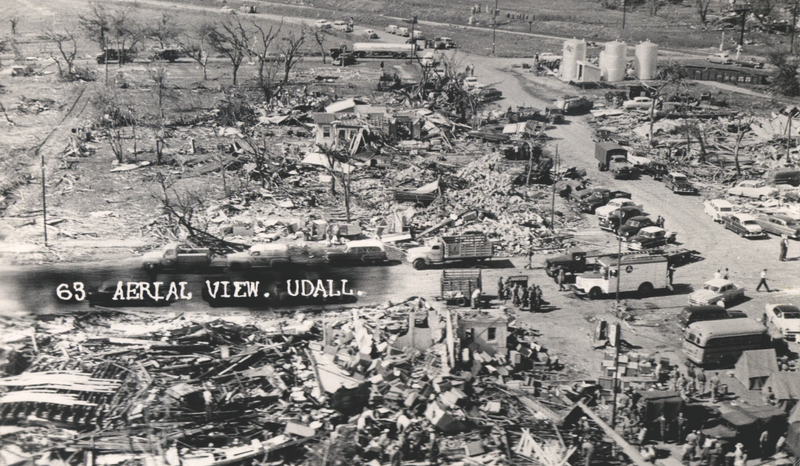 Two years later, a tornado warning system inauspiciously began as a tornado approached south Kansas City on May 20, 1977. The tornado death rate started dropping and it continues to drop today. 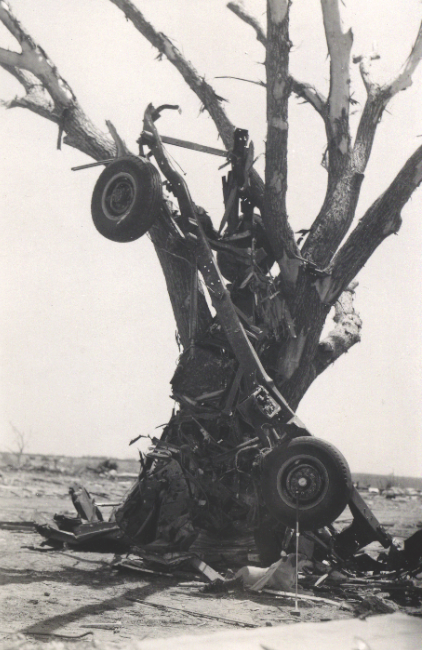 Blackwell-Udall would be the last time more than 100 people were killed in a single tornadic supercell.